Janney has a long tradition of investing our time, money and talents into the communities in which we live and work. But for many people throughout the firm, giving back goes beyond just a tradition and has become an integral part of who they are and the way they conduct business. 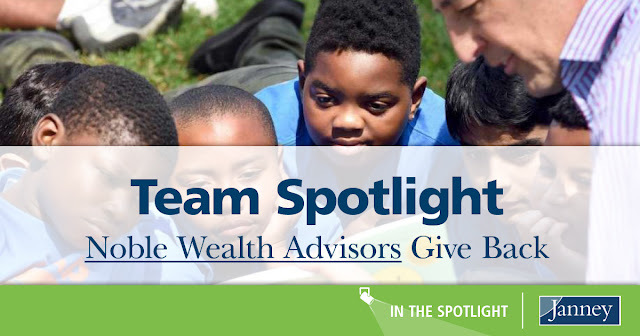 Noble Wealth Advisors, located in Janney’s Downtown New Haven, CT branch office, is one example of a Janney team that goes above and beyond in their efforts to make a difference in their local community. Charles Noble reads “Smile” by Raina Telgemeier to children at the LEAP Read-In event on July 13, 2018. Leadership, Education, and Athletics in Partnership (LEAP), a non-profit program providing social, educational, leadership and job opportunities to children from poverty-stricken neighborhoods in New Haven, is one of those organizations. Noble Wealth Advisors’ partnership with LEAP started when a client invited the team to tour the organization’s community center to experience their work first-hand. The team has continued their support of the organization over the years in the form of donations, sponsorships and volunteering. 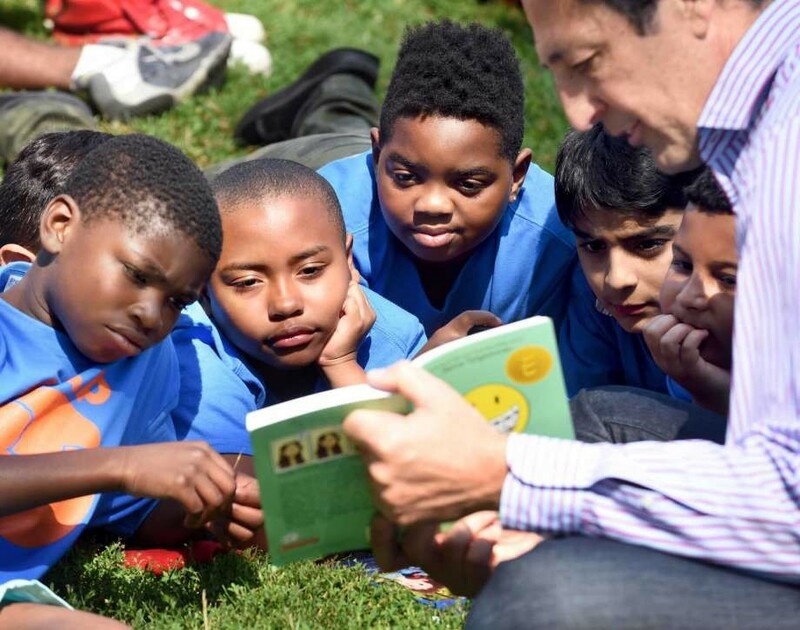 Most recently, Charles Noble, Executive Vice President/Wealth Management and Branch Manager of Janney’s Downtown New Haven, CT branch office, volunteered for LEAP’s summer Read-In. 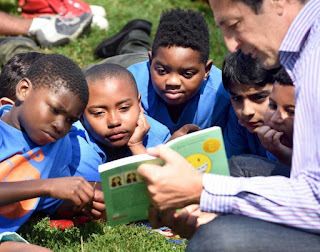 The annual event brings together elected officials, community leaders, and over 500 children to experience the importance and simple joy of reading. As a testament to their commitment to giving back to the community, Noble Wealth Advisors has made it an annual tradition to donate to a charity on behalf of clients during the holiday season. “Rather than sending clients gifts, we send them a card with information about the charity we are donating to,” said Dana Saldaris, Account Executive. “The charity usually has a client connection, so it presents an opportunity to show our appreciation to our clients and raise awareness for an important cause.” Past organizations the team has supported as part of this effort include LEAP, ClearWater Initiative, Jane Doe No More and the Kate Foundation for Rett Syndrome Research. The team has a long history with many of the local organizations they support. The variety of causes and ways they give back are also broad – from supporting local artists by featuring a rotating display of artwork, to sponsoring and chaperoning an annual summer field trip for St. Martin de Porres Academy, a tuition-free middle school for low-income families. Charles J. Noble IV has coached the St. Martin de Porres Academy girls’ basketball team for the last three seasons. 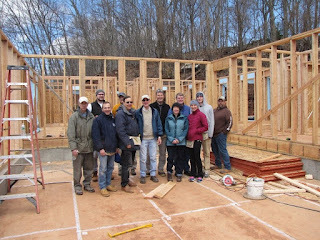 Noble Wealth Advisors were joined by family members and clients in the construction of a house for Habitat for Humanity. The team involves clients in their more hands-on community projects. 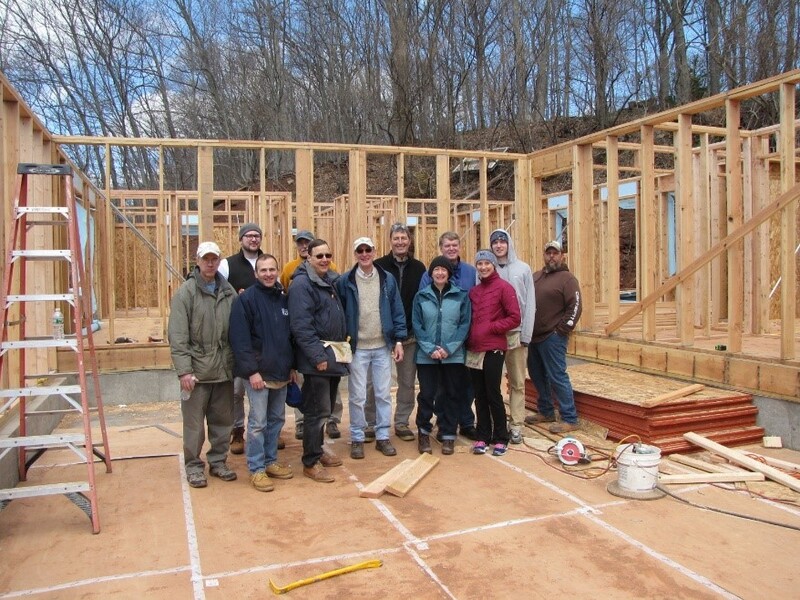 Every year since 2009, Noble Wealth Advisors has sponsored a home through Habitat for Humanity of Greater New Haven’s Sleeping Giant Build. In addition to a monetary donation, the team invites family members and clients to volunteer in helping build the homes. The team’s community-focus has certainly benefitted the New Haven community and the local organizations they support, but it also plays a role in the team’s success and the long-standing relationships they have with clients. Noble Wealth Advisors has consistently ranked as one of Janney’s top-producing teams since joining the firm in 2010. 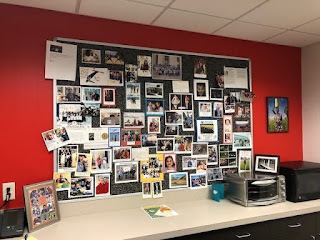 Further illustrating Noble Wealth Advisors’ strong client relationships and community ties is the “client appreciation board” that’s on display in the Downtown New Haven office. 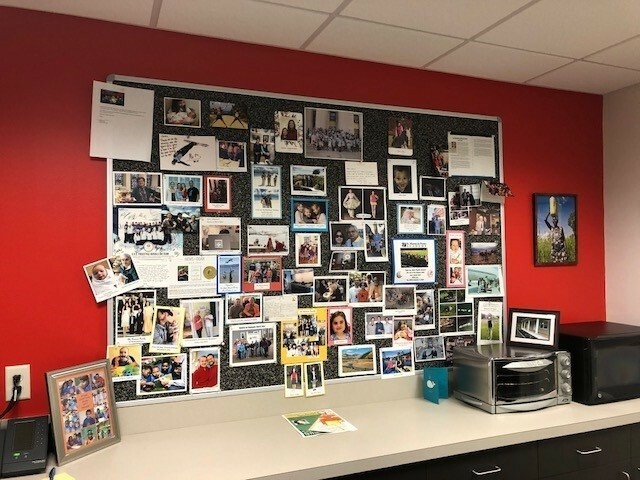 The board features cards and photos of significant events and milestones in clients’ lives, such as weddings, births and vacations. “Clients love it and have even asked to be featured on the board,” said Charles. “It’s a reminder of why what we do is so important and why we strive to do the best for our clients every day.